Finding it hard to get to the Library? Our Home Library Service is available to residents who are no longer able to visit the Library in person due to infirmity, physical or sensory impairment or extended illness. How does it work? The first step is an ‘interview’ with one of our Library staff where we’ll talk about what you like to read/watch/listen to. We’ll then carefully select items for each member depending on their interests. We check back regularly to make sure that we’ve made the right choice and welcome requests for specific titles, authors and subjects. Everything that’s normally available for loan can also be borrowed by Home Library members. Worried that the print’s getting smaller! – we can solve that with materials in large print as well as audio books on CD and to download. 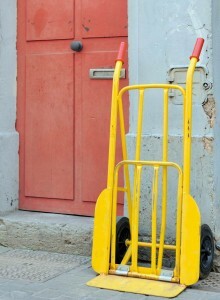 Volunteer couriers provide a free regular delivery service to your door. Alternatively friends or family can collect your delivery from the Library. For further information on the Home Library Service ask at your local branch of Central West Libraries.